James Gandolfini, whose portrayal of a brutal, emotionally delicate mob boss in HBO's "The Sopranos" helped create one of TV's greatest drama series and turned the mobster stereotype on its head, died Wednesday in Italy. He was 51. In a statement, the cable channel, and Gandolfini's managers Mark Armstrong and Nancy Sanders, said he died Wednesday while on holiday in Rome. No cause of death was given. 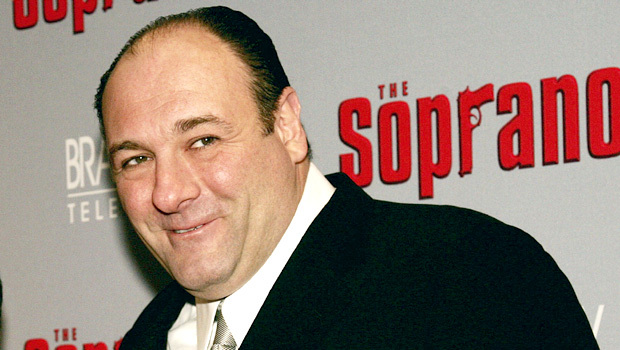 Gandolfini won three Emmys for his portrayal of the conflicted New Jersey mobster, a groundbreaking role in television that paved the way for the "anti-hero" in other dramas. "The Sopranos" aired from 1999 to 2007, ushering HBO into popularity and establishing it as a respected competitor among other TV networks. David Chase, creator of the critically-acclaimed series, remembered Gandolfini as a "genius"
"I remember telling him many times, 'You don't get it. You're like Mozart,'" Chase said in a statement. "There would be silence at the other end of the phone. For Deborah and Michael and Lilliana this is crushing. And it's bad for the rest of the world. He wasn't easy sometimes. But he was my partner, he was my brother in ways I can't explain and never will be able to explain." His film credits included "Zero Dark Thirty" and "Killing Them Softly," and he amassed stage credits as well. Gandolfini's performance in "The Sopranos" was indelible and career-making, but he refused to be stereotyped as the bulky mobster who was a therapy patient, family man and cold-blooded killer. Once, he described an encounter with someone who knocked on his door of his Manhattan apartment late at night shortly after "The Sopranos" began airing. After the David Chase series concluded with its breathtaking blackout ending, Gandolfini's varied film work included comedies such as "In the Loop," a political satire, and the heartwarming drama "Welcome to the Rileys," which costarred Kristen Stewart. He voiced the Wild Thing Carol in "Where the Wild Things Are." He is survived by his wife Deborah, their baby daughter Lilliana and his son Michael from a previous marriage. Watch: Actors John Travolta and James Gandolfini and director Todd Robinson discuss their new film "Lonely Hearts" in May 2006.